I am just discovering how easy it is to sew clothes (as long as you're not too fussy if the end result is not exactly what you had in mind). 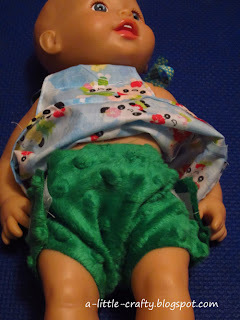 This week I set out to sew Miss 3 a singlet top out of some cute panda material. I wanted to use a simple pattern so I had a quick look at the tutorials from Prudent Baby, and Random Nicole and then set to work. I was a bit too generous in my sizes and made a dress instead of a top, but neither Miss 3 or I were too worried about that. 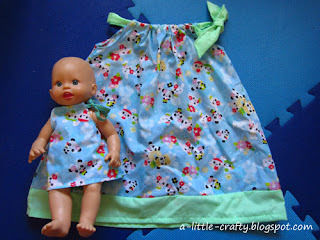 The great thing about this dress was that the largest triangles that were cut off, made a scrap of the perfect size to make a new matching dress for her baby doll. 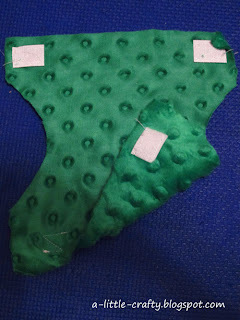 I used the same pattern, just seriously scaled down. 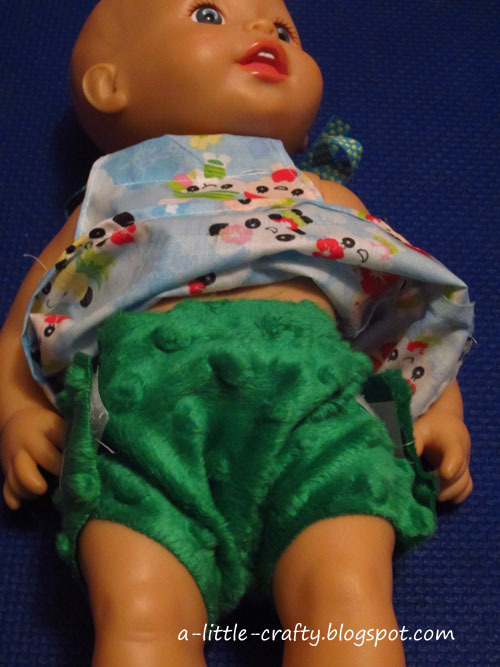 However once baby had a new dress on it was obvious she also needed a nappy, so I used a piece of lovely soft material to make her a modern cloth nappy.